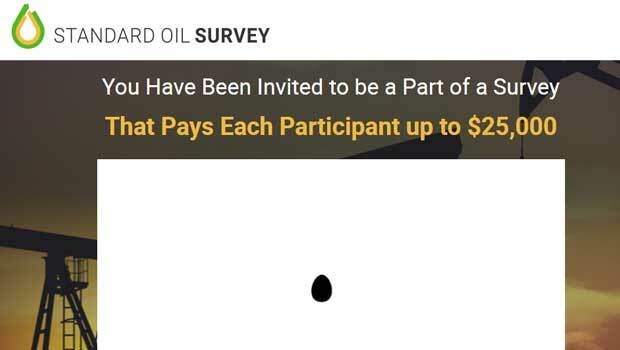 Standard oil survey is a new binary options trading system by David Chan. According to the website all you have to do is take part in a survey and you have the ability to earn up to $25,000. Yet, this can be quite confusing because this is not a paid survey website but a binary trading software. Today I will be providing a review and trying to find some clarity and what this is and whether or not we should trust it moving forward. The developer of the standard oil survey is David Chan and he tells us that he is the CEO of the survey unlimited group that works for many large corporations. I’ve done my research and it’s my belief that the survey unlimited group company that Chan tells us he owns isn’t actually a real company. If you do some searches online you won’t find any information about this company and that wouldn’t be the case considering they supposedly work with some of the largest companies in the world. So I’ve only been on the website for 10 minutes and I’ve already found a major hole in the story. That doesn’t necessarily mean that this is a bad product but it certainly doesn’t start us on the right foot. The next claim David Chan makes is that his standard oil survey uses an oil market prediction that provides traders with a 91% win rate, which can lead to hundreds of thousands of dollars per week. Now, it’s very difficult for me to believe such bold promises because I believe that David was lying to us about his fake company. I also found a discrepancy in one of the testimonials. In one of the testimonials there is a check that’s dated 1/26/2016, which is supposed to show how good this product is. Yet, the product was never available when that check was dated. I really don’t see how I could recommend the standard oil survey to any of the binary today readers. There are just way too many discrepancies and holes in this story. I don’t know why David Chan would lie to us and make up a story about a company that doesn’t even exist, but I’m not going to invest my money just to try and figure it out. I don’t believe that David’s software has the ability to make hundreds of thousands of dollars a week and I don’t believe that it ever will. Please let me know what you think about the software by leaving your comments below the article now. I look forward to hearing from you and hope that you just had a great weekend and a happy Mother’s Day.